The Apple Watch and its charging cradle were taken apart, but a secret still remains inside. The charging cradle uses an inductive charging coil to send electricity to the Watch without wires. Apple normally avoids common standards so everyone just assumed this charging solution is a custom job, but it turns out this may not be the case. Motorola’s Moto 360 watch uses the industry standard Qi wireless charging. However, if you put it on the Apple Watch charging pad it starts charging immediately. While this doesn’t necessarily mean that things will work the other way around, the Apple Watch on a Qi charger, it’s pretty clear that the two wireless technologies can’t be very different. 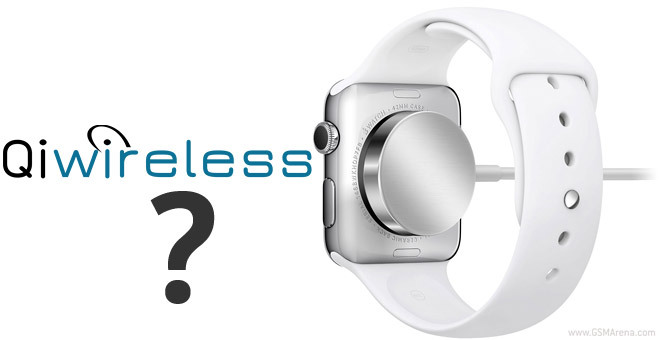 Unfortunately, Apple Watches are as rare as unicorns for now so it may be a while before someone tries it to confirm. That will make the Watch Apple’s first Qi-enabled device.